Manufacturer Seco Machine, started out primarily serving the railroad industry; however, they are no longer simply a contract manufacturer or local machine shop, they are a hybrid of these segments — including moldmaker and urethane parts producer. This North Canton, Ohio, company also offers ancillary services that include assembly, warehousing of raw and finished materials, specialty packaging, coatings, and laser etching for any business from Cincinnati, Ohio, to Washington, Pennsylvania. It takes intelligent, detail-oriented, and dedicated people with superior skill levels to create the quality machined products from this comprehensive division of the A. Stucki Company. The intricacy of the machines that perform everything from prototype production to specialty tooling require focus and precision from the machinists who operate them. With their education in advanced mathematics, drafting, and metal working necessary to perform their jobs well, the employees at Seco Machine love what they do and dedicate themselves to completing every job for Zanesville, Ohio, and beyond with pride. When Richard Seccombe retired after his extensive dedication as a plant manager for a company that was sold, he continued work on a backing-ring project for the railroad industry that the new company had no interest in pursuing. Seco Machine was established in 1985 by a man with foresight, intelligence, and dedication. He purchased two used machines for prototype production and worked in the corner of an old plant. Richard’s two sons became involved in his pet project and when he retired in 2002, Thomas took over as the operations manager and Stephen as the general manager. That project was for a global bearing company, who remains a customer over 30 years later. As is evidenced by the dedication of the founder and the strong work ethic that he exhibited led to superb staff members who make up the team of this thriving local machine shop and contract manufacturer in North Canton. The A. Stucki Company has been manufacturing parts for the rail industry for Washington, Zanesville, and beyond for over 100 years, and requires a wide variety of quality machined products. This made the purchase of Seco Machine, who has been contracting machining parts for the rail transportation market for 31 years, in 2009 a perfect business venture. 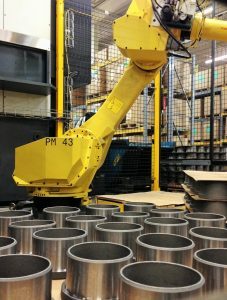 With the creation of Seco Urethane, this local machine shop has expanded their efforts into urethane parts production for the concrete industry, oil and gas, the piping industry, and water treatment industry, as well as firearm targets for the consumer market. Their continued growth, even through financial recessions, creates a sense of satisfaction among each employee. The company is dedication from the top down to consistently design new methods of creating specialty tooling, along with products and services, that will save every industry time and money. Machinists receive extensive hands-on training for safety processes, ISO training, and employee growth. 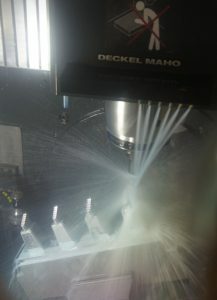 The genuine people at Seco Machine have even expanded to provide ancillary services that include laser etching, specialty packaging, and the warehousing of raw and finished materials, while remaining dedicated to the backbone of their business, the rail industry, and expanding for any engineering solution necessary for Cincinnati and beyond. Building a thriving business from Zanesville, Ohio, to Cincinnati, Ohio, takes knowledge, perseverance, and employees who have a passion for what they do. The collaboration between A. Stucki Company and Seco Machine instills life into their employees with the groundwork that they have laid for a promising future in the rail industry and many other segments. 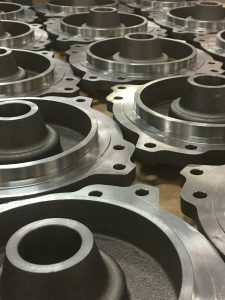 This alliance has created a fusion of contract manufacturing, urethane parts, and prototype production with the quality machined products and specialty tooling from this local machine shop in North Canton, Ohio. They are always discovering innovative methods to help their vast array of customers in Washington, Pennsylvania, and beyond save time and money with effective cutting tool solutions, robotic work cells, and ancillary services that included specialty packaging, the warehousing of finished or raw materials, and laser etching. Anyone who has trusted Seco Machine knows that their skilled and passionate employees take pride in the exceedingly superior job that they do! This entry was posted in Automated Machinery, Business to Business, Custom Cast Urethanes, Custom Special Machinery, Laser Marking/Engraving, Manufacturing & Repair, Material Handling and tagged A Stucki Company, contract manufacturer North Canton Cincinnati Zanesville Ohio Washington Pennsylvania, laser etching North Canton Cincinnati Zanesville Ohio Washington Pennsylvania, local machine shop North Canton Cincinnati Zanesville Ohio Washington Pennsylvania, prototype production North Canton Cincinnati Zanesville Ohio Washington Pennsylvania, quality machined products North Canton Cincinnati Zanesville Ohio Washington Pennsylvania, Seco Machine, Seco Urethane, specialty packaging North Canton Cincinnati Zanesville Ohio Washington Pennsylvania, specialty tooling North Canton Cincinnati Zanesville Ohio Washington Pennsylvania, urethane parts producer North Canton Cincinnati Zanesville Ohio Washington Pennsylvania, warehousing of finished materials North Canton Cincinnati Zanesville Ohio Washington Pennsylvania, warehousing of raw materials North Canton Cincinnati Zanesville Ohio Washington Pennsylvania by admin. Bookmark the permalink.